Rod Rosenstein is a DC swamp rat. But he’s maintained his job, because DC swamp rats are tougher than a $3 steak. Rosenstein may be the ground zero of the discussion around invoking the 25th Amendment against President Trump. Ironically, it might be the fake news New York Times who poisoned this high-level rodent. 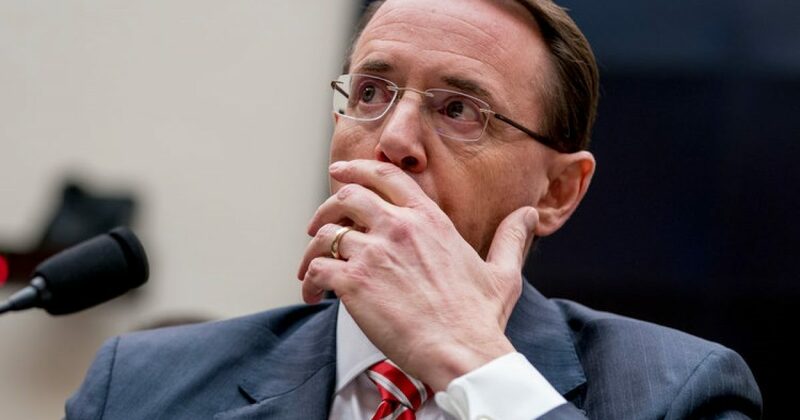 According to the Times, in the chaos that followed the decision by President Trump to fire crooked James Comey, Rosenstein discussed secretly recording the president. Rosenstein provided the Times with a statement adamantly denying the report. Not exactly bathing in outrage is Rosenstein’s comment. I believe I have the answer. I believe Democrats now sense their own futility. They have witnessed their party jumping into the deep end with cement blocks they themselves chained to their feet. Talk about self-destructive behavior! Let’s see what develops, as we learn more about these swamp rats. I suspect other Democrats will begin leaking to the media, and not just the fake news media. When Democrats feel they have their backs to the wall, I believe they will begin turning on each other like starving cannibals.